In the shadow of the Arc de Triomphe, the most significant triumphs of the motor sport year took centre stage at the iconic home of cabaret on the Champs-Elysées. While the gala evening was naturally somewhat restrained in light of the shocking events in Paris three short weeks ago, the evening was still a celebratory and quintessentially French affair, while giving the year’s biggest winners their due. At the head of the list of Champions sits 2015 FIA Formula One World Champion, Lewis Hamilton who in accepting the Drivers’ Championship trophy for the third time took his place among the legends of the sport. Hamilton’s 2015 triumph writes his name in the history books alongside iconic names such as Sir Jack Brabham, Sir Jackie Stewart, Niki Lauda, Nelson Piquet and his boyhood hero, Ayrton Senna. On his way to the title, the Briton climbed to third on the lists of both all-time wins and pole positions, and matched the record for the highest number of podiums in a season. 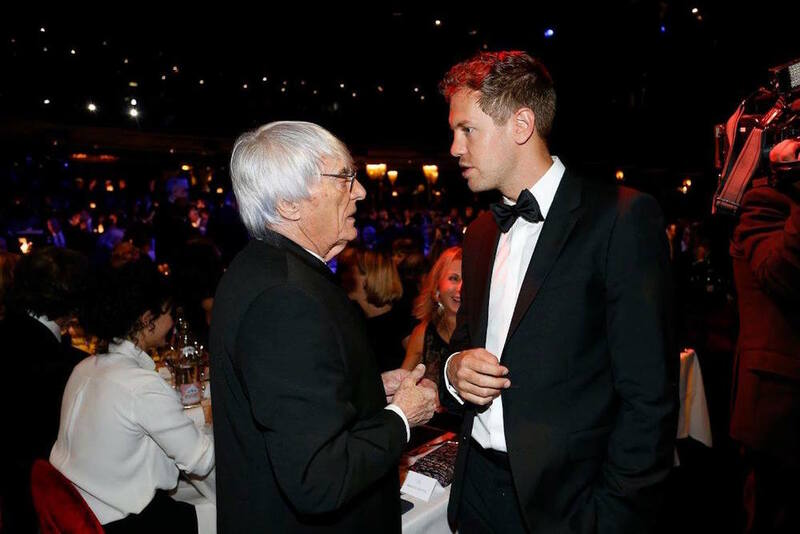 A number of special Formula One awards were presented to those achieving excellence at the pinnacle of the sport. 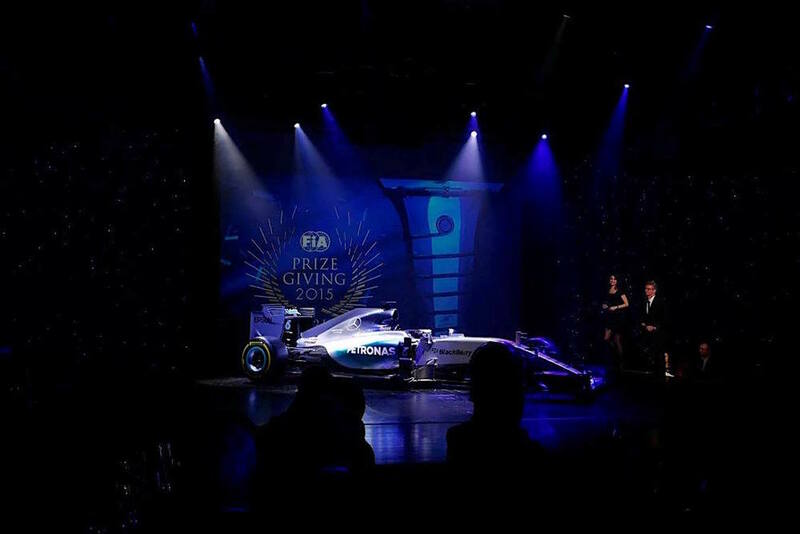 CIE was presented with the Best Promoter Award for the incredible Mexican Grand Prix event, and the FIA’s German ASN, DMSB, won the Bernie Ecclestone award with German drivers having scored most points during the FIA Formula One World Championship. Teenage motor racing sensation Max Verstappen concluded an incredible rookie season in the FIA Formula One World Championship by taking all three of the Federation’s special vote-based awards at the 2015 FIA Prize-Giving in Paris. The Dutch racer took the Personality of the Year, Rookie of the Year and Action of the Year – the first time anyone has claimed more than one of the non-Championship related awards in the same season. The FIA Personality of the Year award is handed out according to votes cast by accredited media from across the FIA’s Championships. The first round of votes establishes a top 10, with the second round deciding the Personality of the Year. Verstappen’s selection is even more impressive given the media have had just one season to get to know the Toro Rosso driver. The Rookie of the Year award is decided by the FIA Drivers’ Commission, presided over by two-time World Champion Emerson Fittipaldi. The Commission, made up of drivers with a combined 12 World Championships and 14 Le Mans victories, forms a supremely qualified judging panel for the selection of the most impressive first-year driver in an FIA Championship. Finally, in the category voted for by motor sport fans from across the world, Verstappen won the Action of the Year award for his daring move around the outside of Sauber’s Felipe Nasr at the fearsome Blanchimont corner during the 2015 Belgian Grand Prix. The pass clearly impressed fans, with the online vote seeing Verstappen take the award over nine other nominations, and by a ratio of 10:1 votes over second place, the FIA European Rally Championship’s Alexey Lukyanuk. It was actually the second consecutive Action of the Year win for Verstappen, who won the 2014 award while in Formula 3. It was an unprecedented achievement for the 18-year-old racer, who took this year’s FIA Formula One World Championship by storm.